PRO 2900, Studio headphone from Ultrasone in the PRO series. 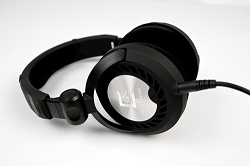 Ultrasone Inc., distributor for German headphone manufacturer Ultrasone AG, debuted the open-backed headphone in its legendary PRO Series, the PRO 2900. Ultrasone is releasing both a standard, single cable version and a balanced, double cable version of a pair of headphones. While standard, single cable headphones are commonplace in most pro audio and audiophile applications, a balanced headphone coupled with a balanced amplifier is said to offer unique advantages over the former such as increased audio performance due to a doubling the slew rate and voltage swing power, while reducing distortion components & eliminating crosstalk. 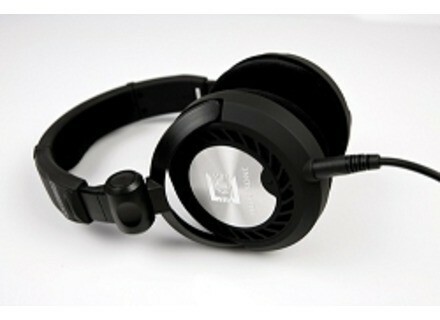 Ultrasone’s PRO 2900s has a black design, velvet covered black ear pads and a diamond-cut logo insignia on the ear cup. The PRO 2900 features a 40mm titanium-plated driver and a soft USC-Cable that is paired with Neutrik connectors. Ultrasone’s newest headphones contain MU-Metal shielding (ULE technology) that reduce the amount of radiation directed to the listener by up to 98%, as compared to conventional headphones. The PRO 2900 headphones have a MSRP of $549 and the Balanced PRO 2900 headphones have a MSRP of $799. Both models are currently available from Ultrasone’s network of dealers and at www.Ultrasone.com. Ultrasone HFI-580 The new Ultrasone headphones contain the company’s S-Logic technology for reduced sound pressure on the ear drum and improved tonal perception. Westone ES5 The ES5 was designed to deliver sound quality, clarity and response comparable to monitors with more drivers. Denon DN-HP500 Denon DJ has introduced the DN-HP500 at the market entry price point.